Quality Caterpillar trainers with a great safety steel toe cap. Lightweight casual safety trainer by Caterpillar. The CAT Moor has black Nu-buck leather and PU upper with breathable mesh panels. Tailbrelle lining to wick away moisture. Cemented construction with durable rubber compound outsole. Steel toe cap to EN345. 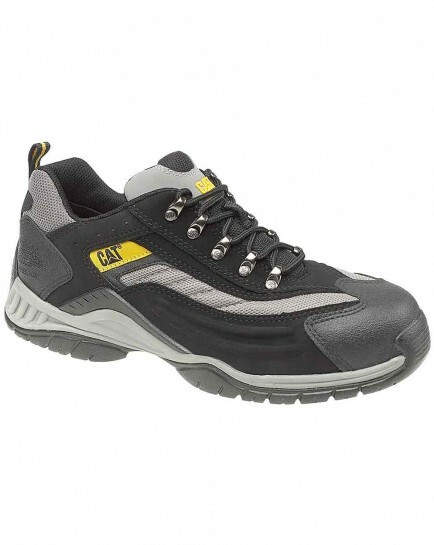 The most popular CAT steel toe cap trainers in our range. Now available in extended size range.